Who will come out on top in this crucial game? 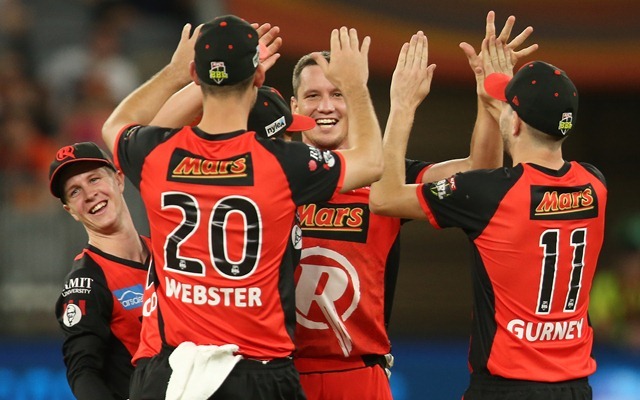 The Melbourne Renegades are third on the points table and with two matches to spare, victory is all that matters. The Sydney Thunder start this game with eleven points from as many games and are stuck bang in the middle of a densely pack mid-table. 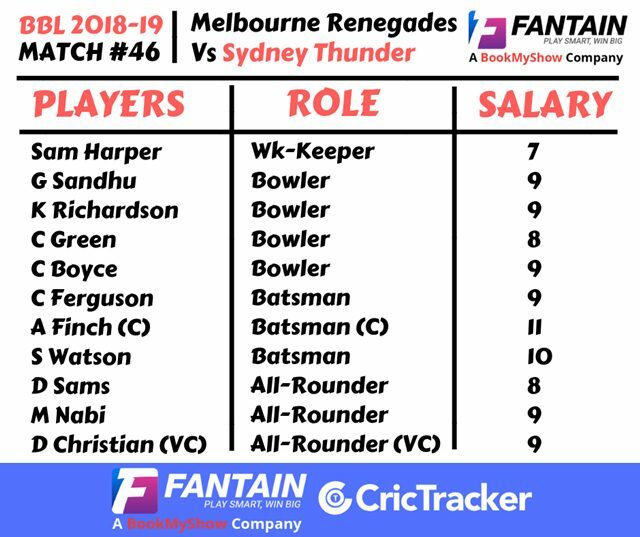 The Renegades have cross-city rivals Melbourne Stars breathing down their neck and to keep them at bay, the Renegades will have to win and win well to ensure a strong net run rate. The Sydney Thunder, on the other hand, has a lot of catching up to do. Needless to say, the team that wins the toss would prefer to bowl first and chase down a target after having assessed the conditions on offer. Daniel Sams: the all-rounder is in terrific form and should be on your list. A look at his performance on the Fantain points scale will tell you that he’s garnered 364 points and that makes him a ‘must-have’. Mackenzie Harvey, Aaron Finch (C), Tom Cooper, Sam Harper (wk), Beau Webster, Mohammad Nabi, Chris Tremain, Daniel Christian, Kane Richardson, Cameron Boyce and Harry Gurney. Anton Devcich, Shane Watson (C), Jason Sangha, Callum Ferguson, Chris Green, Daniel Sams, Chris Jordan, Baxter Holt (wk), Fawad Ahmed, Gurinder Sandhu and Nathan McAndrew. This preview has been produced by Fantain for publication on the CricTracker platforms.